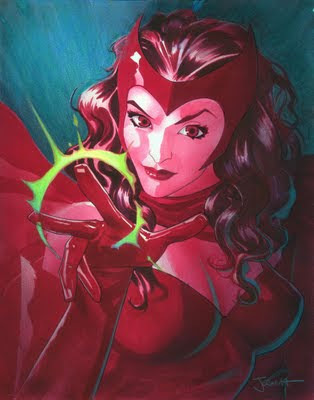 Here is one more red sketch I neglected to post earlier- Scarlet Witch. It was done at the same time as the Poison Ivy and Red Sonja, and just like those two it is color pencil and marker. I don't know anything about Scarlet Witch, but I had a lot of red markers and she was the only other red character I could think of at the moment. I probably should have stuck with a faerie or something. That'll be next.